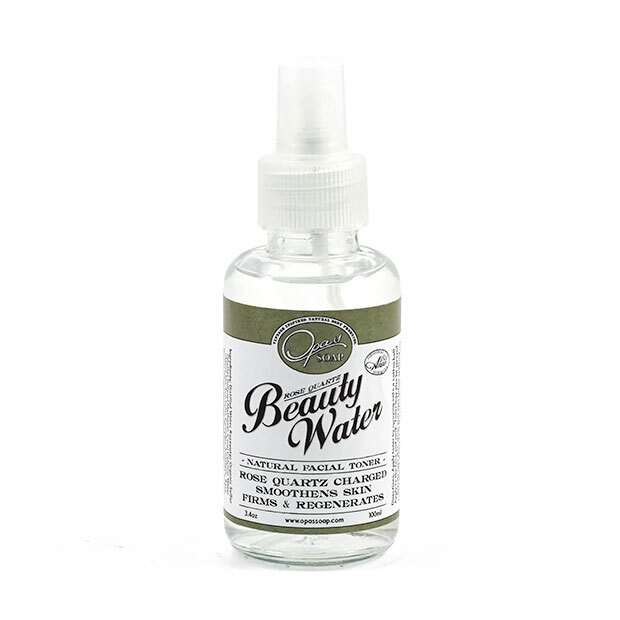 Beauty Water toner is designed to keep skin smooth and firm. Use nature's best remedy, sulfur, for keeping skin youthful, alive, and vibrant. With our Beauty Water you will see a difference in the elasticity of your skin in just a couple of weeks. Enhance collagen production, increase skin tone appearance, and reduce oily skin are just a few abilities our beauty water can do. Rose water has a stable history of calming skin addressing inflammation and provide skin with that glow you are looking for. Coral Calcium in our beauty water has over 70 trace minerals aiding to regenerate skin cells and retain the correct moisture balance. Opas Beauty Water has minimal ingredients to avoid confusing the skin allowing it to respond in a more natural way. 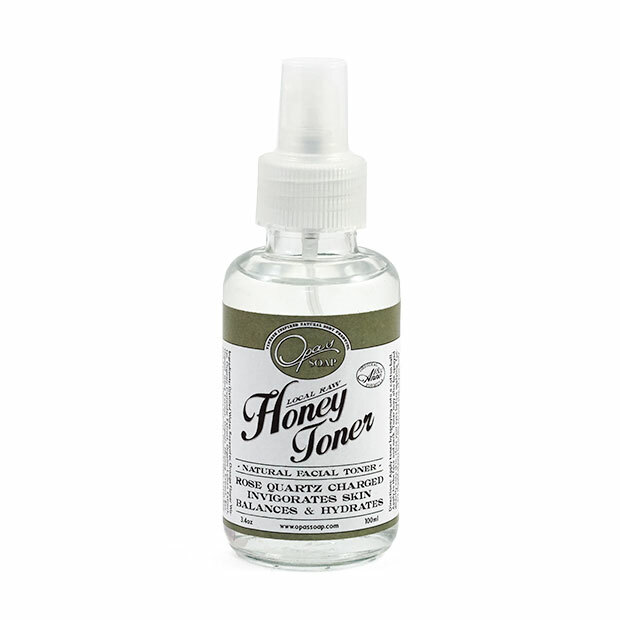 In addition both Rose Quartz and Amethyst are added to our Beauty Water Facial Toner. Rose Quartz, a variation of quartz, usually a pink translucent stone and comes from the mineral class of oxides. It mainly contains some iron, sodium, aluminum, titanium along with small traces of calcium, manganese, and magnesium. The rose quartz is revered since ancient times as the stone of love and heart. The Greeks and Romans believed that the gods of love, Cupid and Eros, brought the rose quartz on the earth to the people to give the elementary power of love and reconciliation. To date, the rose quartz has not lost its value in terms of beauty and healing power. In recent years, the special healing powers of rose quartz become more important. Amethyst is a purple quartz crystal, which has developed its color from traces of iron and the influence of ionizing radiation. The purple color of amethyst ranges from a very bright light pink to a very dark violet. Under the influence of sunlight amethysts lose their color very quickly. Even when heated, they lose their color from turning bright yellow to brownish red even completely colorless. The name amethyst comes from the Greek (Amethystos) - "the intoxication antagonistic" - and reflects the ancient belief that a carrier to the intoxicating effects of wine was immune. It is also believed that Rose Quartz and Amethyst have the possibility to energize water. It changes the cluster structure of the water molecules. I wear this product every day. A spritz every morning and my face feels fresh and awake. And a bottle goes a long way!